Thus, a libertarian theory of free will is the only type that is tenable. The rest of this post will explain how and why this is so. First, for intuitive simplicity, I will make use of a very apt analogy for human minds, beliefs, and truth. Then I will present a formal reductio ad absurdum of physical-mental determinism in both an unabbreviated and an abbreviated form. Then I will briefly describe the Objectivist theory of free will (volition) and its consistency with the Objectivist view of causality and the laws of physics. Imagine a table with two cards on it, one on top of the other. One card has a picture of the “heads” side of a dime, the other has a picture of the “tails” side of a dime. A person near the table can put either card on top. Now the side which the coin shows is the inexorable result of the physical forces on the coin during flipping. It is not caused by which card is on top. In this situation, can we say that when the coin is “correct” it “knows” which card is on top? No. The matching is the result of coincidence. For us to say that the coin effectively “knows” which card is on top, the side the coin shows must be caused by the fact that that card is on top, not extraneous physical factors. Now let’s say that we use magnets to engineer the situation such that whichever card is on top, it will inexorably cause the coin to turn with the corresponding side up. Now can we say that the coin “knows” which card is on top? No, we still cannot. The coin infallibly follows the magnets, whether or not they cause it to match its faces to the cards. What it infallibly “knows” is only the state of the magnets. Any correspondence of the coin with the cards is still a coincidence of the arrangement of the magnets with the cards. How do we get a coin that can “know” which card is on top? The coin must be able to see the state of the cards and respond by turning itself to match. If the coin does this automatically, by a direct causal link between its rotation and the image of the cards, then its matching to the cards is infallible: It can never be wrong. How do we get a coin that can know which card is on top, yet is still fallible and potentially able to come up with “incorrect” answers? The only way that it is possible for the coin to be both fallible and have the ability to know which card is on top, is if the coin is able to choose to go through a process that lets its “heads” position be caused by the “heads” card being visible, and its “tails” position be caused by the “tails” card being visible. In essence, the coin chooses to make its turning be caused by the visible card. When the coin chooses to go through the process, it can see that its resting position was caused by the image on the top card. Yet it is also fallible. If it wasn’t careful enough in guiding its motion in response to the card, then it can make errors. P1: If I know that the statement “Preexisting physical factors necessitate my decision to believe in the content of my supposed knowledge,” is true, then I possess some actual knowledge. P2: If I possess some actual knowledge, then I believe in the content of my supposed knowledge because this content is true. C6: Therefore, the statement that “I know that preexisting physical factors necessitate my decision to believe in the content of my supposed knowledge,” is false. P4: Content is true is not equivalent to physical factors. Reductio ad absurdum of determinism. C6: Therefore, determinism is false. It should be noted at this point that any “cause of belief” premise (except “belief because the content is true”) can be substituted for “determinism” and “physical factors,” and the argument will still be a reductio of that premise. This includes any sort of quantum or metaphysical indeterminism that would posit “fundamental randomness” as the cause of beliefs. Also, because the premise of determinism invalidates all conceptual knowledge, if it were “true” one could not make any statements whatever as though they were “known.” One couldn’t even hold any “knowledge” of the “possibility” of anything, including one’s fundamental choices being determined by prior factors. Any claim to the “possibility” of determinism wipes itself out. Explanation/defense of P2: If I believe that something is true, not because I have seen the fact or the results of its being true, but because I want it to be true, or because some subconscious trigger made me think it’s true, or because I made some error, then I cannot be said to know that it is true. Such beliefs are not based on reality, with respect to the truth of the statement, but on other factors, and these beliefs cannot be relied upon as actual knowledge can. 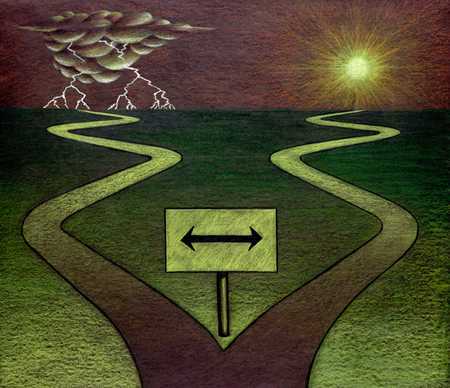 What is the Objectivist Theory of Free Will? Objectivists typically refer to the philosophy’s concept of free will as “volition.” Volition pertains to conceptual thought in humans. At root, it is the ability, in any given moment of consciousness, to focus one’s mind and think–or not. It allows an individual to exert the effort to think or not within the context of his specific circumstances, level of knowledge and emotional state. It does not allow an individual to do or “will” just anything with his consciousness. It doesn’t allow for free-form, ex nihilo “self-creation,” as the existentialists typically hold. Volition does allow “self-creation” within the sphere of how much one adopts the conceptual level of consciousness as one’s cognitive mode of functioning. And the level of an individual’s cognitive functioning at various points in time has tremendously important consequences for the development of his character and actions. So volition is not omnipotent with respect to consciousness, but it is causally efficacious. Thinking can be made easier or more difficult by various mental and physical circumstances. But, so long as one is conscious and has a basically healthy brain, he is able to persevere in thinking amid difficulty, or neglect thought whenever he wishes. Nothing can strictly determine one choice or the other. The form of causality that Objectivism holds as axiomatic–that is, truly fundamental and truly universal–is the “entity-to-action” cause-effect relationship. Entities are what they are, and so can only act as those entities. The actions of entities are fundamentally caused by the entities, themselves. Objectivism does not hold an “event-to-event” or an “action-to-entity” version of causality as most fundamental, or as necessarily universal. Inanimate objects tend to passively react to external actors, and so follow an “entity-action-entity-action” pattern of causality. (Though some of them, at least on a surface level, show spontaneous action, such as radioactive atomic nuclei.) The nature of the entity being acted upon is crucial to the action of that entity (the effect.) If a billiard ball hits a soap bubble, the reaction of the bubble will be very different from that of another billiard ball. Human volition is perfectly consistent with the fundamental nature of causality: human beings can only act in accordance with their nature and must choose to think or not. The choice is caused by the individual, and this choice is a first cause in a subsequent chain of mental effects and physical actions. Thus, human free will is one form of causality, not a violation of causality. What About the Laws of Physics? When human beings use deterministic laws of physics–like Newton’s or Einstein’s–to describe and predict events in the world, this is done on the implicit premise that any event we are attempting to describe or predict has a preexisting, physical set of conditions that constitute a sufficient condition for its occurrence. By it’s very definition, a deterministic physics would not recognize a fundamental choice as a “proper” explanation of any event. Objectivism recognizes that all rational principles (with the exception of the basic axioms) have contexts of applicability. Newton’s laws are valid and can be used productively within the context of things that move slowly relative to each other and do not require too great a precision. Einstein’s relativity can be used if the scale under consideration is not comparable to particle wavelengths. Etc. Much of what Ayn Rand wrote about volition is here: Free Will at the Ayn Rand Lexicon. (1) It should be noted that many people attempt to reason like this: Human beings are composed of particles that do not have free will, therefore human beings do not have free will. But this is an instance of the Fallacy of Composition. It is also true that the particles that make up a human being are not conscious. Does it then follow that human beings are not conscious? Of course not. This entry was posted in Epistemology and tagged atheism, Ayn Rand, college, consciousness, evolution, humanism, Objectivism, philosophy, religion, science, skepticism by Sword of Apollo. Bookmark the permalink. If you hold that the ideas in your mind are automatically determined by prior events and that those ideas are possibly not true, then you are forced to admit you may be wrong about anything including that belief. If you hold that those ideas are automatically true then there could not possibly be any disagreement among people. Since the latter is obviously false and the former concludes you have no knowledge that is valid you cannot claim determinism to be true. Having knowledge is not the same thing as knowing you have knowledge. I agree that knowledge is fallible. Let’s say I have a justified true belief that a bus will stop at 11:00 at the corner. I believe it because it usually does. It’s a justified belief. If it happens, then it’s also a true belief. In that case I know it. If it doesn’t stop at 11:00, then I’m wrong and I didn’t have knowledge. That happens sometimes. How do you know if it happens? How do you know that what you’ve observed is a bus that has stopped at a particular corner? Is it not through observational evidence, just like the previous instances where you judged that a bus stopped at 11:00 at the corner? Can you really separate the status of your beliefs as truths from your ability to justify them? This isn’t really a proof that determinism isn’t true though then, it’s just a proof that determinism might not be true, which I think most determinists would agree with. Calling this a “refutation of determinism” seems rather misleading. Perhaps I’ve misunderstood something, but from what I read it seems to just be a proof that, according to determinism, nothing can be “known” with absolute certainty. Actually, according to determinism, nothing can be “known” at all – as it (determinism) is a denial of the existence of the knower (the human person – the “I” which determinists sneer at as an “illusion” without saying who is having the illusion if the human person does not exist). This includes the concept of a “denier” (for that is also consciousness) – the determinist denies their own existence, that is why the doctrine is self refuting. It literally denies the self – and thus destroys itself. Determinists don’t deny the existence of self or will. They deny the existence of free self or free will. You don’t know the definition. An axiom is a statement that can not be refuted without implicitly accepting it. When you say that there is no way to know something or to know it because you know something else, you implicitly claim to know this and do so for some reason. Therefore you accept that knowledge is possible and contradict your position that it isn’t. This is really the simple and fatal flaw in all skeptical positions – one cannot say “knowledge is impossible and I know it”. My position is not traditional philosophical skepticism. I do not claim to “know” that I can’t “know” anything, and I don’t think most skeptics do either. If one were to claim that, then yes, that individual would be inconsistent. My argument is not that people can’t “know” anything; it’s that the use of the word “knowledge” is ambiguous. On the contrary, I agree that our default position is that we have sense data and other things that we must accept. But even so, it doesn’t change the fact that the word “knowledge” does not have a clear enough definition to tell us when we have enough evidence to justify a belief. If you want, you can sift through my blog and look at my epistemological theories. Well, my proof holds so long as there is some process–any process–we must go through to separate truth from falsehood in conceptual beliefs. Not necessarily. I think you have to question the nature of that process. Just because we employ mental operations with the goal of separating truth from falsehood, it doesn’t mean we always do it or have the means to do it with regard to certain propositions. Saying that knowledge is “believing something because it is true” decontextualizes the process to the point of being meaningless. 1)The “because it is true” part requires believing as well. 2) We believe things with the goal coming to truth, not because they ARE true. Our justification for our thinking A is true is supported by specific evidence, i.e. information related to A; this is why we believe something. Using a fully evidence-based, (i.e. objective) method of reasoning to prove a generalization, keeping all known evidence in mind and checking that there are no contradictions, makes the proposition certainly true in the context of one’s knowledge. But if the doctrine of determinism is not a claim to some sort of knowledge of reality, according to you, (whether of a possibility, a probability or a certainty) then what is it that the statement is claiming? “I have an arbitrary fantasy that every event is necessitated by prior events”? It’s a claim about the truth value about a proposition, which doesn’t have to be accepted with absolute certainty. The word “knowledge” is unnecessary there. Someone who declares that consciousness is an “illusion” is denying their own existence (who is having the “illusion”). Such a position depends on such absurdities as “a thought does not mean a thinker” and other David Hume style sophistry. Someone who denies their own consciousness is caught in a contradiction. As for “compatibilism” – even Kant (not exactly a most liked thinker in Objectivist circles) gets that one right – “compatibilism” is indeed a “wretched subterfuge” “word jugglery”. Even William James admitted that it led to a “quagmire of evasion”. Either the human person (the moral agent – the reasoning “I”) exists or we do not exist – and if the human person exists then determinism (and “compatiblism”) is nonsense. If the human person does not exist then this exchange can not be taking place – as there are no persons to be having an exchange of ideas. I don’t think we know something because it’s true. I think we know it because we have a justified true belief. The requirement that knowledge be both “justified and true,” implicitly assumes that truth can be determined apart from justification. We could only really know anything either if there is a non-justifying (non-rational, revelatory) way of determining truth, or retroactively from a position of ultimate omniscience. (If what you believed turned out to be false, what you believed should never have been considered knowledge.) We will never reach omniscience, and this standard is unattainable. By the traditional definition of knowledge, for all cases of knowledge, actual or potential: you have knowledge only if your belief is true. Also, for all cases of knowledge, actual or potential: you have knowledge only if your belief is properly justified. Yet people can have beliefs that are neither true nor properly justified. If determinism were true, then they had to believe what they do, based on the physical factors that predetermined them. It would also be the case that people who believe “true” things, do so based on the physical factors that predetermined them. Whether people believe true things or false things, they are all in the same boat: they all believe whatever they were predetermined to believe. If their beliefs are false rationalizations, they are deluded into thinking they have a proper justification, when they don’t. They don’t have the knowledge they think they do. Yet they could not have helped the path that they followed, and the overall set of causes that determine their beliefs is effectively the same as the set of causes that could determine someone to believe something actually true: that is, physical factors outside their control and mostly outside their knowledge. Rational true beliefs, rational mistaken beliefs and irrational beliefs are on equal epistemological footing. Thus, if we don’t have the fundamental control to ensure that a statement we accept is true and justified, the actual truth and justification (knowledge) of any statement becomes impossible to judge. (And the concepts of “truth” and “falsehood” become meaningless/useless.) This includes the truth and justification of the premise of determinism. Determinists don’t justify their belief in something because of physical factors. They warrant their views in the same way as indeterminists do. Indeed determinists think that any justification is determined by prior factors (this is how reality works) but they don’t regard it as an argument for any view they hold. Your way of thinking against determinism is based on equivocation. Moreover it seems to me that many objectivists confuse determinism with something that it itsn’t (philosophical scepticism like you do and fatalism). “Vitalistic monism is replaced by mechanistic monism, in whose rules of evidence the standard of life is exchanged for that of death.” (The Phenomenon of Life, pg 11). Since Mind and Free Will are biological phenomena which cannot be explained in terms of non-life, Reductionists are necessary Determinists. Hard Determinists reject the notion of Free Will (and therefore Mind) completely; soft Determinists and Compatibalists are still trying to find explanation of Free Will in the indeterminate realm of Quantum mechanics, in stochastic rules of Chaos theory or in the mystical realm of Tao. I maintain that Free Will is a manifestation on the conceptual level of the very essential property of life itself which is biological self causation. “Freedom must denote an objectively discernible mode of being, i.e., a manner of executing existence, distinctive of the organic per se” (Ibid pg 3). Law of Causality is law of Identity applied to action (Ayn Rand). Since biological action is self-generated goal orientated response (SIGOR) to environmental challenges, such an action cannot be predetermined by any antecedent cause. On the contrary, any antecedent or proximate action could be only detrimental to the healthy living process. “it is perfectly respectable to talk about a category of final causation and to a component as the effect of its final cause…In this sense, then, a component is entailed by its function… a material system is an organism if and only if , it is closed to efficient causation.” (Life Itself, pg 135). Life emerged as result of self-organization of abiotic elements. How that happened we don’t know yet. However some researchers think that this is thermodynamically inevitable event. ” Life is universally understood to require a source of free energy and mechanisms with which to harness it. Remarkably, the converse may also be true: the continuous generation of sources of free energy by abiotic processes may have forced life into existence as a means to alleviate the buildup of free energy stresses….” (Energy flow and the organization of life. Harold Morowitz and Eric Smith, 2006). ‘‘as a process in which pattern at the global level of a system emerges solely from numerous interactions among the lower level components of the system. From this definition follows that 1. A process of self-organization doesn’t have an antecedent cause. 2. Emergent properties of such a system are different from the properties of its components and therefore cannot be explained by means of reductionism. In other words properties of such a system are not defined by antecedent cause. Life is self-organizing, self-regulated material structure which is able to produce self-generated goal orientated action when the goal is preservation and betterment of itself. This new emergent identity which applied to biotic action defines new type of causation-self causation. Harry Binswanger observed “All levels of living action, from a cell’s protein-synthesis to a scientist’s investigations, are goal-directed. In vegetative action, past instances of the “final cause” act as “efficient cause.”(1992). This is the mechanism of self-causation. Now is clear why any action imposed on the organism and driven by antecedent cause could be only detrimental-it inevitable would interfere with self-generated action of the organism. Each and every organism is its own primary mover. In the low organisms the degree of freedom of action is limited by their genetic set up. However even low organisms like fungi for example able to overcome this genetic determinism. “During a critical period, variability is generated by the fact that, a system becomes conditioned by all the factors influencing the spontaneous emergence of symmetry-breaking event. SIGOR is limited by organism’s perceptual ability and capacity to process the sensory input. The process of evolution is a process of development of these qualities, since organism’s survival depends on them. More freedom of action means better chances of survival. The end product of such a process is Free Will and self-awareness, that is-human mind. Free Will therefore is an expression of self-causation on conceptual level. First off, I am a Christian and an objectivist, so I am on your side. However, I didn’t make it past the coin and card analogy because of a ruinous flaw in your initial argument there. I didn’t even make it to your bridging of the analogy of the coins and cards to some actual item of argument, so I can’t speak to that, but here’s the flaw anyway. You said that the only way that the coin could both “know” and be fallible, would be for it to make decisions. There is actually an important other way. There could be an introduction of the random. Say, to give a simple example, at any given flip there could be between a 10-20% chance that the coin would be mistaken. Randomness, as opposed to choice, is consistent with, if not pure determinism, at least subjectivism and lack of actual free will, at least, free will in the sense that it is popularly conceived. So while perhaps we could say that the universe could never be predicted with certainty, your argument doesn’t allow us to go any farther than to say that the universe is unpredictable only because of the randomness of quantum phenomena, and not because of any freely made decisions human beings may make. This is not a happy conclusion. One way to refute Determinism is to show that no two coin-flips are EXACTLY the same – so the outcome cannot be ‘predicted’. Not only is it impossible to build a machine that will indefinitely flip a coin in such a way that it will always-and-forever come up Heads (think material fatigue, parts wear out), it is also impossible to build a machine that can, each time, flip a coin so that it rotates the same number of times on the upward trajectory, rotate the same number of times on the downward trajectory, bounce in the same way, roll in the same way and end up with Heads EXACTLY oriented in a way to a previous flip. In addition, each time a penny lands, a bit of the metal from the machine is left on the penny, a bit of the penny’s copper is left on the floor, the Earth has moved in it’s rotation and so has the Sun moved in it’s rotation about the Milkyway, etc. Laplace’s Demon is a myth. So to is Materialism/Determinism. The degree of similarity between two flips is relative to a pre-flip-established, epistemic standard. Not sure how C2 follows from P4. There is no rule of inference that allows you to conclude that since two things are non-identical, they are mutually exclusive. There can be cases of overdetermination; an evet with more than one cause. Another issue is the notion of ‘belief because truth.’ It’s not clear how truth could have any causal powers. Furthermore, deterministic processes can be truth-tracking. For example a calculator is deterministic, and assuming it is not malfunctioning, it will give me the same true answer given the same input. Having the visual experience of an apple causing me to believe that there is an apple, is also a deterministic process. The light hits my retina which is then processed by the occipital lobe, which then causes me to believe that there is an apple in front of me. This is a purely deterministic process which is truth-tracking. It’s far from clear that having the ‘choice’ to believe that there is an apple can ensure knowledge. You’re right that C2 doesn’t actually follow from P4. The formal deduction doesn’t quite nail down what I want to nail down. I plan eventually to publish an updated version of this essay that contains a valid reductio and gets to the heart of the issue better. The proof was pretty good, except for implication (i.e. conclusion) c2. [~( c iff p) iff (c iff ~p) ], and [ ~(p -> q) iff (p & ~q) ]. Let b = false, c = false, p = true. Then both premises could be true and yet conclusion false. In other words this is an invalid argument; every assignment of t/f to c, p, b, must yield a true implication for validity. p -> q is false if p is true and q is false. I would love to see an added or changed line to the proof. Thanks, yes, I already conceded that the formal argument wasn’t valid in response to the previous comment. I plan eventually to put forward an improved essay.